Thanks to the wonders of the web, there are so many places to watch people make delicious food other than The Food Network. There are tons of different YouTube channels, blogs, and websites dedicated to food, and the food section of the web is notable not only for being super convenient (since you’ve got a bazillion recipes that are just a Google away), but for being quirky and weird in ways that even Guy Fieri wouldn’t be able to be on TV. Check out this list for a guide to everything the Web’s got to offer, from simple recipe videos to geeky food sites. Obviously, I don’t have to tell you about the wonders of Spoon University, since you’re already here. Simple Cooking Channel is run by Jason Wrobel. They’ve got recipes that seem impossible to make, but Jason breaks it down into simple steps so that you can make things that sound hella complicated like coconut panna cotta or lamb and sweet potato pizza. This one’s for anyone who’s looking for some simple, straightforward recipe vids. Yolanda Gampp runs the fun and pretty self-explanatory How To Cake It channel. Admittedly, the cakes she makes have a pretty steep learning curve. Honestly, it’s just fun to watch these killer cakes get made. This food site is run by John Mitzewich, and, much like the Simple Cooking Channel above, is useful for beginner cooks who want to start making recipes that folks might think are reserved for master chefs only. A blessing for all the vegetarians out there who don’t know how the heck to make tofu taste good, Veggietorials puts out videos every week and is run by Cobi Kanani. Sorted is a UK channel made up of Jamie, Ben, Barry, and Mike. Not only are their food videos super helpful, but they’re fun to watch. You can tell that these guys are really having a good time cooking with their friends. Cooking with Dog is basically my favorite YouTube channel, ever. Watch the Japanese “Mysterious Lady” make tasty food while her dog, Francis, hangs out with her every step of the way. It’s so cute and actually pretty relaxing to watch. Australian Elise Strachan makes the cutest sweets on her channel every Wednesday and Friday. She’s not limited to just cupcakes either. She has everything from Zootopia cookies to moose pastries to candy ramen recipes. If you haven’t seen My Drink Kitchen yet, you better get on that. Hannah Hart’s drunk recipes might not be very helpful sometimes. Hey, either way, her videos are super fun to watch. You might even learn some life lessons. This one’s a series brought to you by Viceland, and hosted by Action Bronson. He travels around the world, tries out different foods, and let’s you know which ones are, well, delicious. You have to have a subscription to Vice for the newest episodes, but you can watch some of the older ones fo’ free. Rosanna Pansino often gets guests like Markiplier and Hannah Hart to come on her show to make fun, nerdy pastries. It’s very cute. 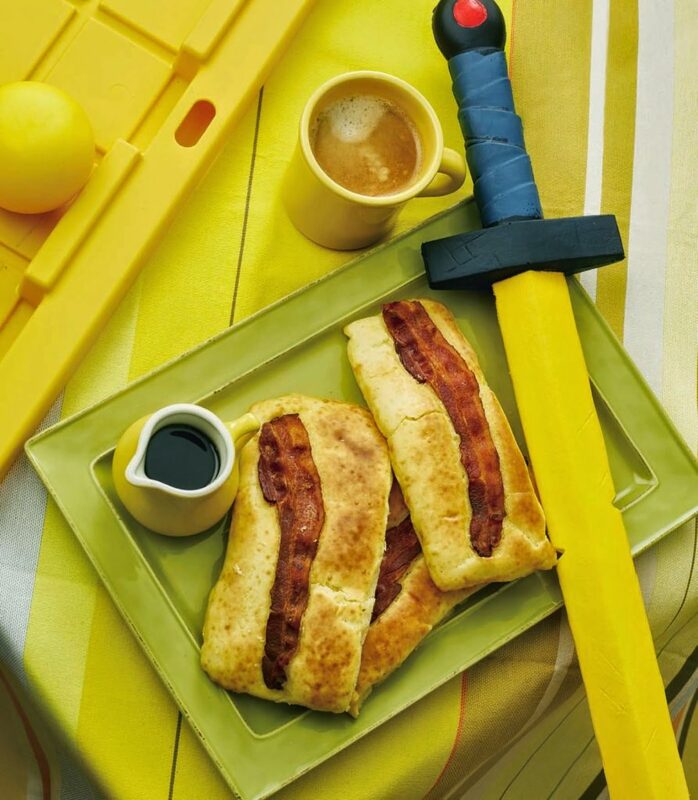 This blog, run by Cassandra Reeder (who recently put out a cookbook), recreates different foods from various TV shows, video games, and movies, like bacon pancakes from Adventure Time (shown above) and Chronicles of Narnia-style turkish delight. 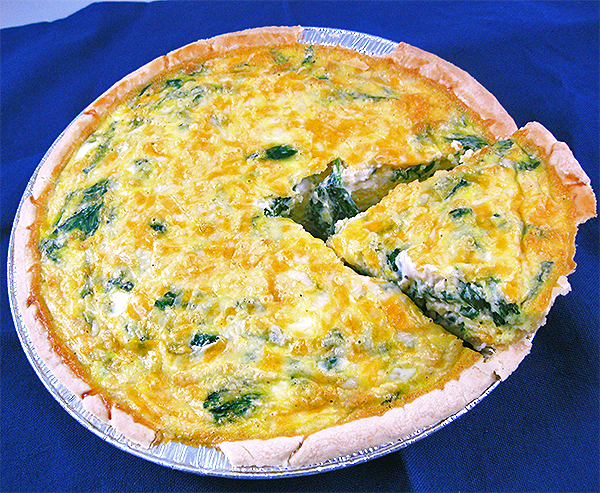 A vlogger who goes by ImaginingMystic (real name Christina) runs this food blog that’s specifically dedicated to recreating video game foods, like a spinach quiche from Final Fantasy XIV (shown above) or potato soup from Skyrim. These videos aren’t really actually going to help you cook anything. They’re just these weird, anti-comedy videos of a mystery man throwing around a lot of eggs and putting things in toilets. If you want to actually learn how to fry an egg, check this out. A lot of them can get pretty high on the gross-out factor chart (the one above is one of the tamer ones). But the videos are a huge hit among the “weird YouTube” crowd. Chances are, you’ve probably heard of the old classic Epic Meal Time. But Regular Swedish Meal Time takes it to the next level of over-the-top. Just watch the video above to see what I mean. Showry’s videos are completely off the wall. Her videos are meant to satire the Korean trend of muk-bang, and they are a wild ride. The video above is one of her more vanilla ones. Check out her Facebook for more, but be warned: She makes a lot of weird noises, so you should probably listen with headphones in.